The first booking for Reliance JioPhone has started in India from August 24. The company has finally revealed the specifications of its new handset. 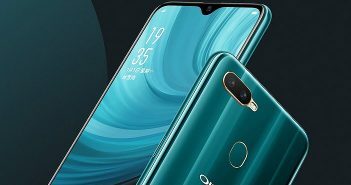 The highlight of the features phone is its effectively free price and 4G VoLTE connectivity. The Reliance JioPhone was announced by Mukesh Ambani lately at the company’s AGM. The announcement of Jio 4G services surprised the entire telecom industry when it was launched first. And the 4G VoLTE enabled feature phone was another tremor in budget mobiles segment. 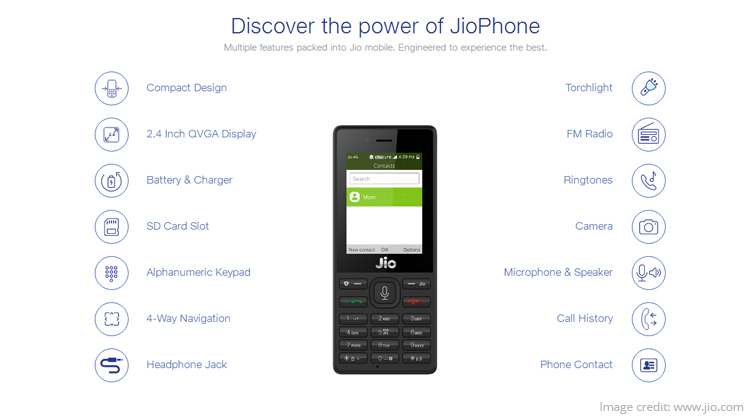 The official booking for the JioPhone is already started and is available on the first-come-first-serve basis after pre-booking. Also Read: Reliance Jio Phone: A Practical Version of Freedom 251? The JioPhone is certainly a game changer in the feature mobiles space due to its support for 4G VoLTE connectivity. 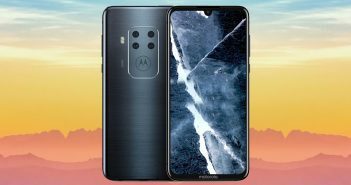 It features a 2.4-inch (240×320 pixels) QVGA display powered by a Spreadtrum SPRD 9820A/QC8905 dual-core chipset clocked at 1.2GHz paired with 512MB of RAM and Mali 400 GPU. The phone has 4GB of internal storage with external storage of up to 128GB via dedicated microSD card slot. It is a single SIM mobile. For photography, the phone offers a 2MP primary rear camera with VGA selfie camera. The device is powered by a 2000mAh battery which is rated to deliver a talk time of up to 12 hours and offer up to 15 days of standby time. The connectivity options on the Reliance JioPhone include 4G VoLTE, Wi-Fi, FM Radio, Bluetooth 4.1, GPS, NFC, and USB 2.0. The NFC feature will allow the JioPhone users to make UPI payments without the physical debit or credit card. 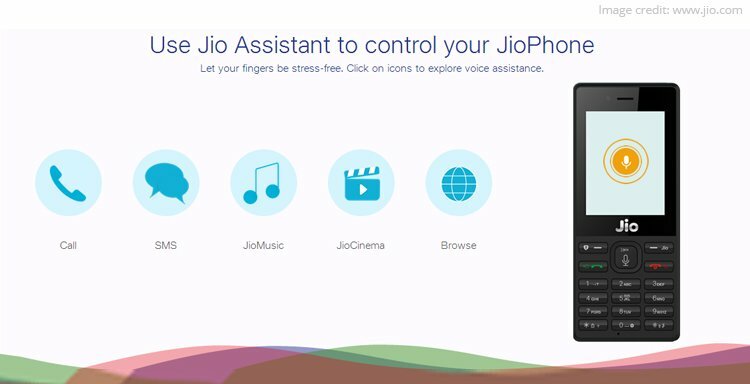 The other feature the device includes Jio Assistant which is a voice based digital assistant similar to the Siri or Google Assistant. 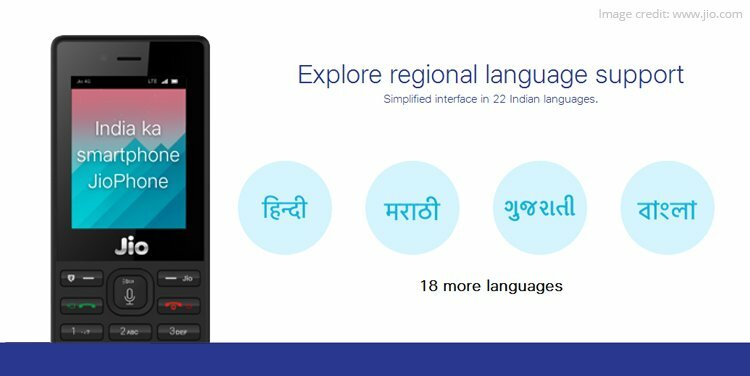 The phone has support for 22 Indian regional languages including Hindi, Marathi, Bengali, and Gujarati to name a few. 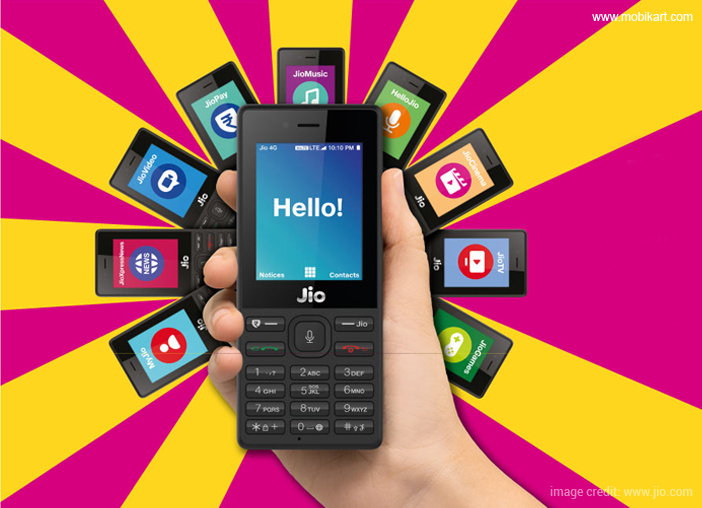 The JioPhone grabbed attention on the internet due to its effectively free price of Rs 0. The company is charging a 100 percent refundable amount of Rs 1,500 for three years from the JioPhone buyers. The amount will be refunded once the user returns his/her device after three years. 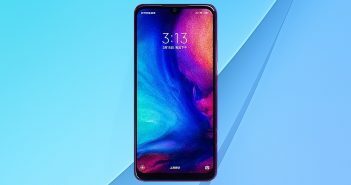 As mentioned by an IndianExpress report, the users will have to pay Rs 500 up front during the pre-booking period and the remaining Rs 1000 will have to pay at the time of delivery.